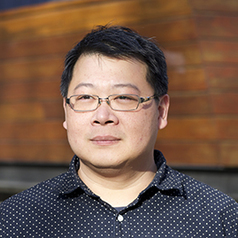 Paul Loh is lecturer in Digital Architecture design at the University of Melbourne. Prior to this Paul studied architecture at the University of Melbourne and University of East London before joining the Design Research Lab at the Architectural Association where he completed his Master in Architecture and Urbanism. He has over 12 years of practice experience in London, Melbourne and Kuala Lumpur. Paul was senior lecturer at the University of East London between 2005 and 2011. He has taught at the Architectural Association and lectured in UK, Sweden, Italy and China. He is a partner of Melbourne based design practice LLDS / Power To Make, focusing on the relationship between making, technology and material. Paul is a PhD candidate at SIAL RMIT. His main research interest is digital fabrication and craft formation in computational design.